The CRD Regional Kitchen Scraps Strategy encourages homes and business to compost organic waste and divert this waste stream from the landfill. By January 1, 2015 kitchen scraps will be restricted from your garbage. Visit www.compost.bc.ca for information about composting and food waste digesters. At City Hall we have installed these food waste digesters from the Compost Education Centre. 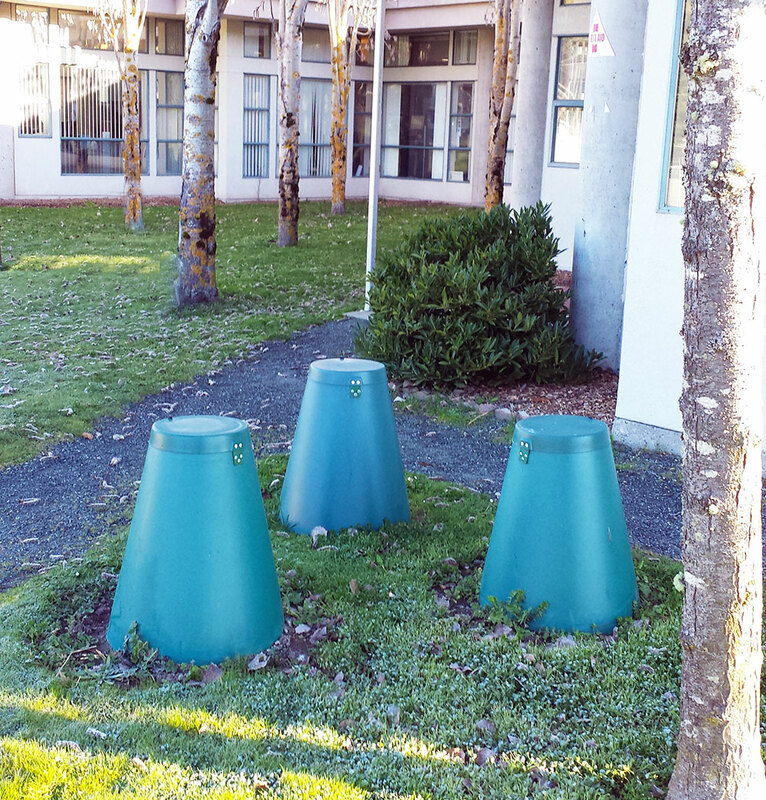 The City of Colwood does not provide garbage collection service. Residents are free to select their preferred provider of this service. Look in the yellow pages under Garbage. Colwood 's curbside blue box recycling collection program is provided by CRD Recycling. Learn when your collection day is, what can be recycled in the blue box and where to recycle other materials on the CRD Recycling website. Use Myrecyclopedia.ca to determine where and how to safely reduce, reuse and recycle almost any substance and learn the environmental story behind the items we use in our homes and businesses. The City of Colwood provides a Branch Drop Off Program free of charge for Colwood residents on the first and third Saturday of every month. The annual Spring Clean Up program is offered to Colwood residents for two days each spring. For a small fee, residents can bring everything from appliances and car parts to carpet and wood waste for recycling and disposal. Read more about the Colwood Spring Clean Up.